9 April 2015, Montbonnot, France – Today KEOLABS, leading supplier of smart card certification solutions, announced that their IoTize™ Project has gained the support of French national and local funding authorities. The French government will inject 3.8 Million Euros over three years into a collaborative project aimed at enhancing the IoTize™ technology, notably in the areas of information security, ease-of-implementation and form factor optimization. IoTize™ is a smartphone connectivity technology for products with embedded processors or microcontrollers. It allows companies to upgrade their existing products for the Internet of Things (IoT) without changing their existing hardware or software. “We expect IoTize™ to bring many products to the Internet of Things by reducing technology barriers and the risks associated with implementing IoT connectivity,” explained Francis Lamotte, KEOLABS Vice-President and originator of the IoTize™ concept. “The project unites key competences and resources to make IoTize™ a truly complete solution for IoT implementation from the cloud to the core of the embedded system,” added Francis Lamotte. The IoTize™ project unites a consortium of leading companies and experts in microelectronics and security including STMicroelectronics and Gemalto. The projects will also unite a panel of implementers – companies who are manufacturers of products for industrial, building and home appliance markets, who will evaluate IoTize™ specifications and features, thus ensuring its adaptability to industry requirements. IoTize (www.iotize.com) is a French technology start-up based near Grenoble, a European hub for micro and nanotechnologies. In collaboration with industry-leading partners, IoTize designs and manufactures a range of wireless connectivity solutions for microcontroller-based embedded systems (TapNLink) and systems implementing any industry-standard system BUS (TapNPass). 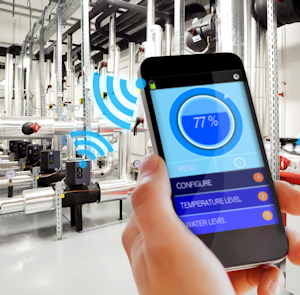 To meet the demands of diverse use cases in the Internet of Things (IoT), IoTize solutions integrate a range of wireless technologies ranging from Near Field Communications (NFC), Bluetooth and Wi-Fi to LPWAN technologies such as LoRA and SigFox. All IoTize solutions are designed for plug'n play integration into existing system designs thus reducing time-to-market and risks associated with migrating them to the IoT. Video: Iotize Systems in 10 Mins!